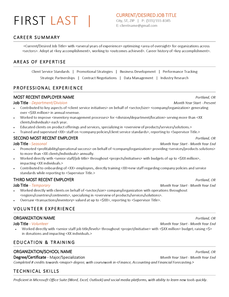 Download one of the following resume templates to work off of. All of these templates contain the same information, but the Bold template is best for clients with very little experience. These two forms will help you to create a strong resume with your client. Download an intake form and questionnaire. This intake form is a great place to start when first meeting a new client, to start to think about their unique strengths, challenges and opportunities for them to consider! These questions will help you to get more information about the context, scope and outcome of what your client has accomplished. 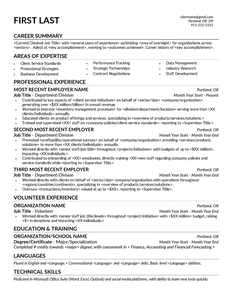 Need sample resume sections? Looking for inspiration for active verbs? Or are you stumped with a client? 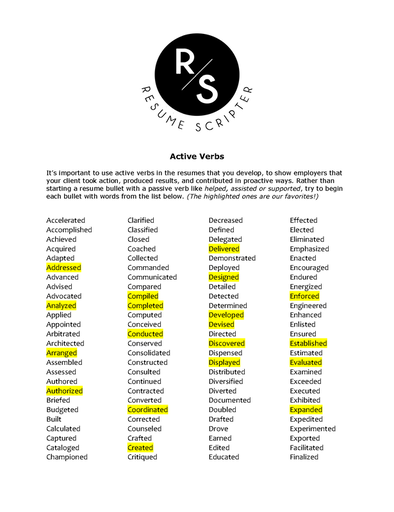 This cheat sheet has examples of resume sections for you to use! Download it to copy and paste from it. Use active verbs to show employers that your client took action, produced results, and contributed in proactive ways. How to address limited language skills, lack of education, employment gaps, criminal records and little work experience. 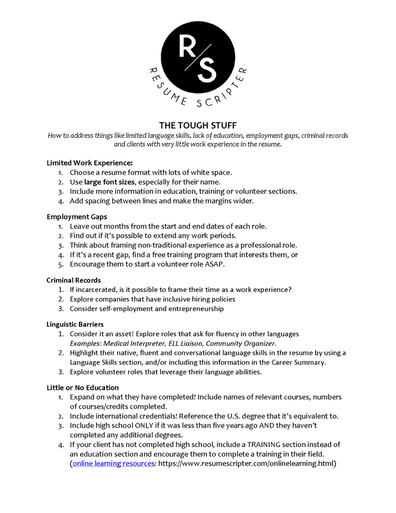 Subscribe to our mailing list and receive a free resume critique!